N. O. K.- Next Of Kin, examines the ways in which American families memorialize their relatives killed in military conflict. The photographs, spanning 2014-2017, focus on the personal altars and private displays of mementos and objects dedicated to lost soldiers. This response from Gold Star families must be part of the public discourse on war and its aftermath. 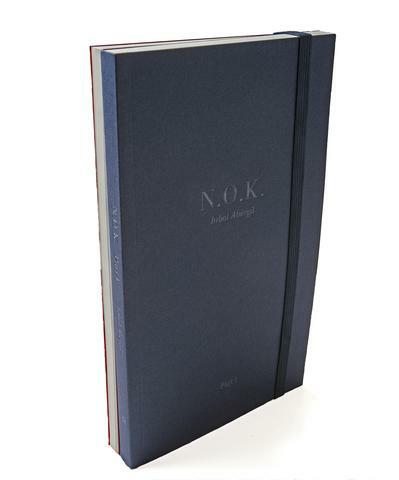 N. O. K. Includes two volumes, one featuring photographs and one containing testimonials and essays. Inbal Abergil is an internationally exhibited visual artist and an Assistant professor of Photography at Pace University. Fred Ritchin is Dean of the International Center of Photography (ICP) School. In 2017 he received the John Long Ethics Award from the National Press Photographers Association. Carol Becker is a writer and the Dean of Faculty and Professor of the Arts at Columbia University School of the Arts. Maurice Emerson Decaul a former Marine, is a poet, essayist, and playwright, whose writing has been featured in the New York Times, The Daily Beast, Sierra Magazine, Epiphany and others. Stephen Mayes is the Executive Director of the Tim Hetherington Trust and former VII Photo CEO .